Central New Mexico entrepreneurs and small business folks are fortunate to have access to space and expertise to help grow their companies. These facilities provide much of the infrastructure that a small startup would have to purchase and space to work at a reduced rate. There is also mentoring support for incubator.accelerator clients. Facilities and services are highlighted below. The Santa Fe Business Incubator (http://www.sfbi.net)opened its doors in December 1997 in a 10,000 square foot facility. Five years later, the facility tripled in size to its current 30,000 square feet. Over the years, SFBI’s accomplishments have resulted in high-impact returns to the community. To date, SFBI has helped launch and grow over 70 businesses. After graduation SFBI client companies continue to thrive, diversify the local economy and increase tax revenues in the community. Some of their success can be seen in the numbers (through 12-31-09): Revenues for client companies and affiliates have exceeded $100 million; payroll generated has been in excess of $40 million;and client companies and graduates have created 700+ direct new jobs – the majority of which are above minimum wage and/or high paying jobs. Of the total number of companies served since 1997, over 80% of graduates are still in business, or have merged or been sold to existing companies, 5 years after graduation. WESST Enterprise Center (http://wesst.org/enterprise-center); In January of 2009, WESST opened the doors of the WESST Enterprise Center, a mixed-use business incubation facility in east downtown Albuquerque. The center is a hub for entrepreneurship and small business development in Albuquerque and beyond. The 37,000-square-foot facility offers state-of-the-art amenities and business assistance programs for up to 20 light manufacturing, service, professional and technology businesses. Between 2009-2011 (with the nation’s economy sputtering), member companies of the WESST Enterprise Center had created a combined total of: 197 new jobs with a total payroll of $12.7M, generated $23.4M in revenues and raised $9.4M in equity investments. Today, the Enterprise Center is home to small business members in the technology, health care and biotechnology industries. STC.UNM Accelerator (https://stc.unm.edu/cvl/): The Joseph L. Cecchi VentureLab (CVL)’s incubator is a pilot program providing shared office facilities, business services, mentoring, advice, and the location of the specialized facilities and laboratories required to support life sciences-, physical sciences-, and engineering-oriented ventures. The CVL continually communicates with existing incubators to find appropriate enterprises to work with these facilities. The incubator is an ideal complement to the existing functions and relationships of the CVL and STC.UNM. CVL, an affiliated program at STC, provides a connection point for university researchers, inventors, faculty, staff, students, entrepreneurs, venture capital firms, and small technology companies in various stages of development. 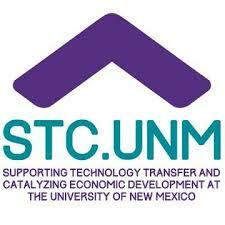 The CVL assists with the commercialization of UNM technologies by facilitating the formation of startup companies. The CVL equips these new companies with a healthy foundation and necessary resources—improving their chance for success.